Telus flanker brand Koodo Mobile offers Canada’s best wireless rate plans, according to PCMag‘s Fastest Mobile Networks Canada 2018 report. 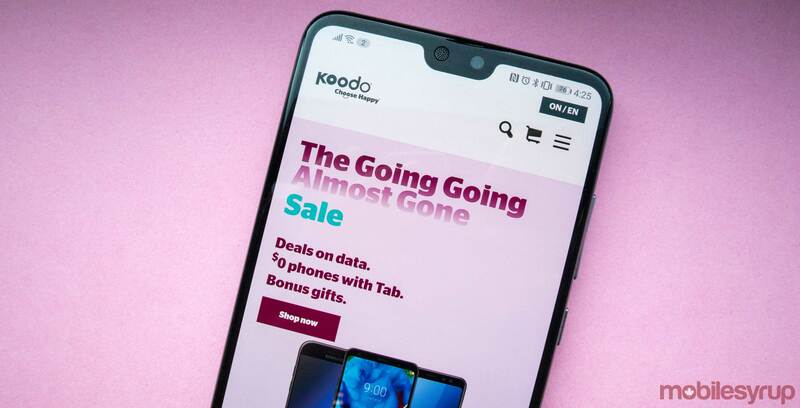 According to PCMag, Koodo’s constant promotion wars with Bell flanker brand Virgin Mobile also means that Koodo regularly offers bonus data as a way of staying competitive. In terms of family plans, PCMag reported that Quebec-based regional carrier Videotron provides subscribers with the best option. “While Videotron’s speeds don’t measure up to the Big Three, its coverage is excellent and its rates are considerably lower than the major carriers’ family plans,” reads an excerpt from PCMag‘s report. PCMag added that Canada’s wireless ecosystem requires two specific elements that are currently present in the U.S. in order to thrive. The first is unlimited data, something that is “soft-capped after a certain point so that it doesn’t overtax the networks” in the U.S., but that isn’t even an option in Canada. “Here in the US, there’s a thriving shadow-world of low-cost, experimental plans running on the Sprint and T-Mobile networks,” reads an excerpt from PCMag‘s report. It’s worth noting that Canada’s telecom watchdog, the Canadian Radio-television and Telecommunications Commission (CRTC), effectively closed the door on Wi-Fi first MVNOs in March 2018. While the CRTC said no to Wi-Fi-first MVNOs, the Commission launched a separate investigation to examine the need for low-cost, data-only plans. The Commission is currently in the process of accepting submissions in response to new low-cost, data-only plan proposals from Rogers, Bell and Telus.